Jack Labanauskas: I have been looking forward to this conversation after hearing so many positive things about your workshops over the years. How long have you been teaching the Enneagram in a business setting? Ginger Lapid-Bogda: My first book came out in 2004, and I was doing work with the Enneagram in organizations before then. In the 1990’s, I went through the certification with Palmer/Daniels and part of that program required certifiers to type 20 people; 10 of them had to be taped and reviewed. I have to laugh now, but I started running out of friends and relatives who wanted to be typed or whom I wanted to type, so I asked some of my clients if they were interested. That got me started on the path of using the Enneagram in organizations. My original intent, however, was to learn it for my own personal development work. JL: What service were you providing to your clients? GLB: I was doing what I would call general OD consulting, working with Time Warner on a Total Quality Management effort, and with First Union Bank –which became part of Wachovia and now is part of Wells Fargo – on an organizational redesign initiative. GLB: Organization Development: helping organizations becoming more productive, more effective and more humane, using participatory processes. JL: At the time, was that something new like coaching? Or was it a precursor? GLB: It was a precursor to coaching. OD grew out of an organization that began in the 1940’s called NTL, National Training Labs, which created a great deal of the technology used in human relations work in the USA and which was also used a lot abroad. In the 60’s, OD became a profession and was really flourishing in the 70’s. In the 80’s and 90’s, a number of the consulting firms and accounting firms started doing Change Management, and they incorporated OD theory and practice into their consulting efforts. Coaching has been around for a long time. OD people always did coaching and coaching began really flourishing as its own profession in the past 15 years in Europe, United States, Australia and also in Asia. It’s also become a profession utilized in South America. GLB: The answer is yes and no. OD consulting is based on certain values, such as the people who are closest to the work know the most about what’s occurring and how to improve things in ways that management may not. The idea underlying OD is that you get managers and employees involved in both the finding and understanding of the root causes of problems, and then they help to define what the best solutions will be. OD consultants also work with helping to implement the changes once organizations have decided what they want to do. There are also management consultants who generally come in, do an assessment themselves based on the framework they’re using, which is where we get into what you’re talking about, the framework. Based on that framework, they then develop recommendations for the organization to follow, which organizations may or may not do, and these consulting firms sometimes help with the implementation. But if you look at teams, there are many, many different models of what makes an effective team. Different consultants, whether they’re OD consultants by profession or more management consultants, use different models and what model or framework you use depends on your philosophy and knowledge base. So you do an assessment against that model, find out how that team is currently functioning, and then try to make improvement based on what you call a gap analysis. JL: What’s a gap analysis? GLB: It’s the gap of what might be or could be and where they are. JL: There seems to be an impressive amount of thinking and science that has gone into studying all possible dynamics that affect working relationships, the dynamics of individuals within teams, and the relationship of each member and the team as a whole to the task. We spend about half our waking time working and often with others. All our faculties and quirks including perception, cognition, emotion, motivation, brain functioning, personality, behavior and interpersonal skills are put to use and affect our performance. GLB: Yes, and this performance is measured based on expectations: how effective are we at achieving what we were supposed to produce? JL: That’s right, we can’t just tune out and lollygag, contemplating the lint in our navel, while our team or organization is counting on us. Was it Plato who coined “Necessity is the mother of invention?” Organizations have to meet specific goals in order to survive and that includes being aware of ways to maximize the potential of their team members. No company can stay in business, let alone prosper, if they continuously apply solutions that don’t work. And that can’t be limited to meeting production goals, but must include a social balance with personal satisfaction. GLB: Well, you’re raising a very good point Jack, because some consultants only look at the interpersonal processes and some only look at the work that’s being accomplished. In the 1950’s, there was an approach that started in England called Tavistock. It took Freudian analysis — understandings that focused on the individual — to the group level; the idea was that groups have an unconscious just like individuals do. And if this unconscious is activated in a negative way, it will get in the way of accomplishing the work. Tavistock has definitely influenced a lot of the US consulting, the main idea being that social relationships and work effectiveness go hand-in-hand. If the work is not going well, it’s eventually going to affect the social relationships in a negative way, as well as vice versa. This came to be known as the socio-technical systems approach. JL: They are inseparable, aren’t they? GLB: Yes, they are intertwined and if the leadership is not working effectively with the social and work relationships — its called task and relationship aspects of group — then overall productivity and effectiveness suffer as well. As a result, a lot of attention in consulting also goes to the role of a leader and how they do or don’t contribute to the team or organization’s effectiveness. JL: In other words, whenever humans get together they have an infinite number of ways in which they can fail. It can be leadership, it can be cooperation among the underlings, it can be the relationship of underlings to the leadership or vice versa. GLB: Or lack of alignment with the work. Take a team that does not have enough work to do. That is actually going to be a problem because if people do not have enough work to do, the social unconscious gets activated. People don’t like not having enough work to do, so they start acting out in a negative way. For example, they may sabotage the work they do have, they may become either extremely passive or, alternatively, highly aggressive toward the leader or one another. GLB: Well, people will have to do something so they start imagining things like: “Why don’t we have enough work to do?” “Why does so and so seem to have more work than I do; does the leader like this person more than me?” “Is the organization going to get rid of our team and they haven’t told us?” All this gets activated and people start working in less productive ways. JL: I see, so on a large scale — we see it after a destructive war for example — people unite, and become completely focused just to survive and rebuild without paying much attention on politics. A few years of that and we get “economic miracles.” Once we’re feeling safe and comfortable again the teamwork between leadership and population begins to fall apart and politics move into the foreground. GLB: Right, but if the group is overworked too often, too much stress results and the group unconscious gets activated. JL: Good point. Do you think too much leisure or too much stress is about equally disruptive? And how does stress affect the group? GLB: See, you have exactly the same kind of problem: “Why am I so exhausted?” When people get exhausted they become less productive. “I’m working really hard, but I’m not getting the reward; there must be some reason, maybe they’re going to sell the business.” “They’re demanding too much of us but we are not getting our fair share... the leaders are not taking care of us.” When this starts to occur, people start taking it out on each other. You can see that in the US today as well as all around the world. JL: It seems to me that we swing like a pendulum between too much and too little, with short reprieves, as we pass the balanced zone in the middle where a group may function very well. But human nature being what it is, and apparently fairly stable throughout the ages, will go through similar dynamics that arise in any group. Early mankind had elders guiding the tribe, warlords commanding their troops, blue-blood aristocrats leading or exploiting commoners; and in recent times we trend towards big government statism imposing regulations, or free market capitalism seducing us by persuasion. There always seems to be a hierarchy of one sort or another — that’s the human nature part — but we may get to choose between a benign or nasty form of hierarchy. GLB: You’re talking about hierarchy as part of human nature, but what does it have to do with the Enneagram? JL: Well, I believe that the Enneagram in business is no different from the Enneagram in a family structure or among your neighbors and friends. Too often I heard people talk about the Enneagram as if it’s designed to address some aspects of life, like spirituality or intimate relationships, rather than applying it to business or social studies. How could it be? Aren’t we the same exact person whether we’re at home, at work, at a party or meditating in a cave? And the Enneagram either works in all these fields or it works in none of them. GLB: Exactly, I totally agree with you. JL: We are talking about human relationships and in order to understand them we need to know the basics of human nature — what happens when people come together in groups, be it family, friends, business associates or spiritual seekers, is fairly universal. We bring our anger, fear, sadness or whatever to the table. We can understand and accept human nature not as a temporary fluke imposed by some happenstance, but as the building blocks of our individuality — like seeing the law of gravity not as a quirky fluke affecting an object, but a medium affecting all objects. GLB: If you take different spiritual communities and we can talk about a whole lot of them, they are organizations too and they have the same kind of hierarchy that you see in business. They somehow need to provide for themselves; the people who are the leaders need to keep the organization going. They have structure, you see, they’re just a different form of an organization with all the same dynamics and issues that businesses have. GLB: All the pitfalls and all the possibilities. JL: Yes exactly, it may be a Chinese who said “Give a man a fish and you feed him for a day. Teach a man to fish and you feed him for a lifetime,” but this advice works just as well in our neck of the woods. GLB: Yes, it’s all the same. I do think there was and still is some attitude among people who work with the Enneagram that business is tainted or something; but for me, business is where people congregate. If you look at the globe, where do people congregate? In families, in religious institutions, and in businesses. But how do you access families to help raise consciousness? It is a challenge. I mean there are a lot of people doing good work, but in some spiritual communities, people don’t like the Enneagram because it feels threatening. They think the Enneagram can bring spiritual access to anybody without having to necessarily go through whoever is the head of the spiritual group. So some spiritual communities embrace the Enneagram, some don’t, and some don’t know it. In organizations of all kinds, profit and non-profit, almost everybody works, unless you’re young or very old, and that’s the place where we can access people. That’s why I do the work I do, because of this, this is the congregation space. JL: Right, even the very young work, they just call it play or school; it still has all the elements of interrelating as well as forming our individuality. GLB: The Enneagram is already coming to schools; it’s where people congregate. You probably remember, as I do, that there was the belief that you couldn’t teach the Enneagram or use the Enneagram with people who were younger than 25, because it was not OK to help young adults or children to know who they were by their Enneagram type — it could stereotype them. And I remember when Judith Searle and I were co-chairs of the IEA 2003 Conference, we had what was considered a very radical idea — we would have a children’s panel of 10 to 13 year olds and David Daniels would be the facilitator. And people were saying, “Oh you can’t do that” and we said, “Let us try that;” it turned out to be such a marvelous experience. You were there weren’t you? JL: Yes I was in Santa Monica, did not see the children panel, but I remember the immensely positive feedback from it. People were amazed how sophisticated the insights of kids were. GLB: It was so special and so useful and it was a little bit of a shift for a lot of people to see that, yes, kids that young could easily identify their type, they could talk about themselves, they didn’t find it putting them in a box or restricting them. They found it very helpful. JL: There was also the notion that type was not quite formed in early childhood. GLB: Yes, but now we know nobody believes that. JL: Now mothers with a kid in the womb often guess the type by how it kicks. Were you able to notice character traits that persisted after the birth of your child? GLB: Well, actually I have a little story about that. Since I was a first-time mother, I had a baby nurse whose name was Birthania — isn’t that a great name for a baby nurse? She said: “In the first two days write down his characteristics, put it in an envelope and only open it when he’s 21, and you’ll see, they will be the same.” I thought that was really interesting, I did that, but I can’t find the envelope. JL: How’s that for being goal oriented, and an achiever...ha-ha. GLB: Very goal oriented, and getting his mother to achieve for him when he couldn’t do it himself. Well, um, now nothing’s changed...ha-ha. JL: This just goes to show that change is slow, veeery slow, and we can’t just willy-nilly decide we’ll change and do it. On the other hand, what gives us the illusion of change is often how others see us. Our family sees us one-way, our colleagues another, our ideological allies or enemies see us quite differently. And yet, we are the same person in any situation but we probably activate a different part of ourselves in each different environment. In that, we are like chameleons who change color walking into new environments, but the fundamental structure of their tail, absence of ears and independently focusing eyes remain... As far as our passions and motivations are concerned, people have changed little since we lived in caves. GLB: I do agree but I want to make one exception to what you are saying. Since I work so much in organizations, like helping people figure out with what their types are and how the system works , people often ask: “Are you one way at home and one way at work” and the answer is what you say — you are the same person. Then I meet people who say: “At home I’m like this, and at work I’m like that, so which type am I?” And almost always it’s one of their arrow lines. I’m a 7 here but a 1 there, or a 2 here but an 8 there. So we worked on this for several days and he discovered that he was a 5 in a very high leadership position in a construction firm that was pretty male and driving... he had learned to use his 8 leadership style because in that environment they needed a more directive style than he might normally do as a 5. So he had been what I call “leaning on his arrow;” I think these are all great resources, the arrows and the wings; I’m a great believer in them. In this environment, where his 8 on top of his 5 was a great combination, because he was not all action, action, action; he was also research- action, research- action. He realized that he was really a 5 so he and his lovely wife were going to be just fine, and if he felt like he needed more places to assert himself because he was used to doing that, he could go out and do some community work. And so he was a very happy man. JL: Did he end up doing that? GLB: I don’t really know because I don’t always have access to participants afterward. He had come to my “Leadership and Self-development” program and I only saw him for that week. He was a very thoughtful guy and truly had a great relationship with his wife so I’m sure he’ll be just fine. GLB: That happens in the US too. You hear it a lot: “We had a great marriage until he was home all the time.” I know a woman who’s a 2 married to a guy who was a 1, a dentist, and he retired. They have a really great relationship and a big family, but she couldn’t take him being home all the time. She felt like he was hovering and that was her space. She put him on a schedule, you know, he’s a 1 and likes schedules, so she said: “Mike, I will not be making lunch for you any day during the week, dinner will always be there, but lunch you’re on your own. I can teach you how to make sandwiches or you can go out, and then one day a week, we’ll figure out things you that you like to do.” They live in L.A. So now, one day a week he goes over to UCLA where he was a student but never explored the campus and learns more things about UCLA; another day of the week, he’s artistic, he’ll go to an art gallery, different ones each time; and then one day a week he can do whatever he wants to do, and so on. So she kind of helped him create a structure for himself in his retirement and they get along great now. I think it is a funny story, and he tells the story more than she does. JL: You travel a lot doing trainings and coaching individuals all over the world, do you see fundamental differences between different nationalities, ethnic groups or cultures? American companies; organizations by their nature have boundaries like “this is part of our company, this isn’t;” and they all have some hierarchy for example, “these people are in different roles and they need systems and processes for getting things done” — and certainly organizations have different cultures. Although the organization’s culture is influenced by the country’s culture, the industry they are in, and more, they basically have more similarities than differences, so in that way there isn’t much difference. JL: If you were to give a short list of basic similarities, what would it be? GLB: Well, like I was saying, they have leaders, and they have several leaders unless they’re a very small company. They have different levels of leaders, and the leaders all have a leadership style. And the leadership style of any leader is fundamentally a manifestation of his or her Enneagram style. You take an 8 leader in Asia and an 8 leader in Europe, and they are going to have a lot of similarities. Now, there may be some cultural shadings of it, like in some cultures that are more participatory, the 8 leader may be a little more participatory and 8 leaders in more hierarchical cultures will be less so. But the 8 leader in the more participatory culture may be leaning on his or her 9 wing to build a little more consensus; that’s where the wings and arrows come in beautifully. Of course, there are cultural differences in terms of the group vs. individual focus, the degree to which people talk in terms of specific vs. diffused meaning – for example, do you get right to the point vs. you talk around the idea before you get to your central point. Although the Enneagram types vary on these dimensions, so do national cultures. Americans tend to be very specific; we tell you our conclusion and then we tell you why you should believe that or we lead you to that conclusion, whereas in some cultures, it may be more circular. They’ll tell you a story till you get to the point and it’s obvious to people. The Japanese culture is circular like that, but in the Chinese culture it’s quite direct or specific. I was doing the Train the Trainer program in Korea and they like to look up to their teachers; and the teacher of teachers are given the highest degree of respect. So during this program, everything was going really well, and I said, “Is there anything you like me to change?” It turns out they would have preferred for me to choose a student to be their leader who then would speak for them. I said, “But I want to hear from you directly.” However, they said they wanted me to be more like a guru. I responded, “I know that’s part of your culture, but for me being a guru means in some ways you are giving your power to me, and I want you to own your own power.” So we had a long conversation about this and someone still insisted, “We want you to be our guru.” But at the end, some came up telling me how much their heart was just touched by what I said. So there are things like that, but I think fundamentally there is more similarity than there is difference and the difference is just interesting. It’s like a thing on top of the type, a thing on top of the organizational processes. JL: Did you find that in organizations, or in departments, or at a specific management level there would be an M.O. that clearly reflected an Enneagram style and that style would persist even after a lot of turnover among the personnel? I wonder if certain dynamics that were established in a group would survive even after many players were replaced. GLB: This gets into “should you hire by type?” Or, is there an aggregation of certain types in certain jobs? Or what types are better leaders? I always say: “No type is a better leader, every type can be an excellent leader, it depends on what kind of leadership you need. And an effective leader who has emotional maturity and a high level of self-mastery can do just about anything.” I’m adamant that you should not hire by type, because if you hire a low-functioning person only because they are that type, you’re going to have craziness in that team. Or if that person is a leader, the whole organization suffers because that person is unstable. People who have a higher level of self-mastery and emotional maturity have a lot more capacity and can take more responsibility for themselves. That said, to answer your question, there may be tendencies for certain types to be in different parts of organizations, but you can’t always tell what type this might be; it really depends on the industry, the nature of the work, and partly on the selection process. People tend to select people that are more like them in the hiring process — “Oh, I’m good, this person is like me, they must be good.” But this is not necessarily the best hire. Sometimes certain Centers of Intelligence are more represented in particular jobs. I’ve seen one group where there was a large percentage of Body Center styles. The next level down had a higher percentage of Head Center styles, and a level down from them had the Heart Center styles. Now, that could be a problem because the Body Center styles would likely move to action quickly, without sufficient planning or consideration of the impact on people. JL: Did you notice if there is a trend in the hierarchy of how upper echelons, middle management and lower workers are represented by type or center? GLB: At the highest levels in organizations, I’ve worked with great leaders of each Enneagram style, and they can all be highly strategic leaders. However, different styles tend to be attracted to different aspects of knowing the business and thinking strategically, but not other ones. So there are ways in which all leaders of every style need to develop more. JL: In other words, you’d pick General Patton to lead the military and Bill Gates to lead Microsoft. GLB: Bill Gates is probably a 5 and that makes sense for an enterprise that is intellectual knowledge based, but if he were not a strategic thinker, which some 5’s are and others are not, Microsoft wouldn’t be what it is today. What the Enneagram style of a leader can tell you, is what he or she tends to have as strengths and what this same leader’s predictable development areas are. You can also do this for a team. I can take an Enneagram symbol and if we know everybody’s Enneagram type on the team, we put little dots on the symbol and do a pretty accurate job predicting what this team is good at, what they pay attention to, and what they may not be so good at — just based on this Enneagram map of the team. It’s phenomenal as an objective and non-blaming way to get teams to discuss their dynamics and determine areas for growth. JL: I see, so you are like a geologist taking a mineral sample and determining the resources in the ground. GLB: Yes, and it’s almost always completely accurate. Where people know the Enneagram system to some extent, a little bit about the centers too, and something about how the types interact, I can lead them through an extremely useful analysis. It makes it more objective and easier to discuss the areas that are their strengths as well as things that are obstacles to their effectiveness. Often these are areas that they otherwise can’t talk about very easily. JL: Let’s say you are able to determine the Enneagram types of the main players in an organization, do you find that people instinctively gravitate towards positions favored by their type, or do you find that an outsider with Enneagram knowledge can improve a team by re-positioning a few people in positions that are closer to their core nature? GLB: I think you’re asking some good and multiple questions here. Certain types may gravitate to areas they are more interested in, but then, if you get people of all the same type in a certain department, you lose different perspectives. That can be a big problem. Team members can be comfortable, but how effective are they? Someone could make the assumption with an IT (Information Technology) group, “Fives will be good in IT.” Well, that’s not always where 5’s want to be. If you have an entire group of 5’s, what does that mean? They will tend to work autonomously, but how to work with an interdependent team might be a bigger challenge for them. I worked a lot with IT groups, in fact one of my big clients has 600 IT people, and there is not a preponderance of 5’s. Or if you work in sales, some will say, “Threes and Sevens make the best sales people.” But some of the best sales people are neither 3’s nor 7’s. They just use a different strategy for getting there. JL: Ah, so here we have a question of specialization and going deep into a few areas, with a bit of compartmentalization versus more diversity. Interesting, it makes sense; we see that in breeding dogs. The mutts tend to be healthier than designer breeds, live longer, and often are smarter. An organization needs diverse types to build an organization that has longevity, is healthy and smart. GLB: Or, take a mostly 5 team. Get those 5’s to see that there is value in doing something they are not doing, then show them how to do it more. Most 5’s will go along with it if they see the value of it. What if a team had primarily 1’s? They might be so certain their plan is right, but if you have six 1’s, there could be tension and conflict about which of the six different plans is best? Clearly, I am making the case for diversity of Enneagram styles, but the bigger case is for higher and higher self-mastery levels for team members. When this occurs, teams can soar because they are flexible, responsive, and responsible. Jack Labanauskas: What can an organization do to attract the kind of people it wants without knowing what combination of employees might work best for them? Ginger Lapid-Bogda: I am not a proponent of hiring people based on their Enneagram type. There is no evidence that Enneagram type is correlated with skills; companies need to hire based on the degree to which an individual’s skills match the needs of the job. Self-mastery-level matters far more for hiring than Enneagram style, though self-mastery level or emotional maturity level can be difficult to assess in a job interview. That should be left to licensed psychologists, and some organizations use them effectively. It’s important for companies to ask themselves whether they are selecting out individuals who might add great value or selecting in only a certain type of employee. Here’s a good question for companies to ask themselves: What aspects of our culture are changeable, that may have evolved over time, but may no longer be functional and get in the way of some people from giving all of their best work? JL: What is the most striking discovery you made when using the Enneagram working with groups? GLB: I actually had an “aha” moment; I went “Wow!” If I ever doubted the power of the Enneagram, it was gone in a discovery about the Enneagram and teams. Teams are complicated; they have a structure, leadership and other elements. And they also have these dynamics that occur within the team itself; one is that that people play certain roles on teams, predictable patterns of behavior over time that they’re usually not aware of doing. There are roles related to the task of the team and roles related to the relationships and the processes of the team. The same person would be playing a specific task and a specific relationship team role, and playing them at the same time or in alternating fashion. When I started looking at team roles -- — there are classic task and relationship roles on teams that have been identified for many decades -- — and without trying to force-fit anything, I gave myself this task: “Let me look at each Enneagram style; which task and which relationship role do individuals of this style tend to play? Interestingly, if you put all the types and all the roles in a matrix, they map out to completely different roles, so no type is playing the same role, task or relationship, as any other type. What I’ve learned from my NTL work and experiences is that if the team dynamics are going to change, one or more of the team members has to change their predictable role-based behavior, and when more than one person does this, the change is more dramatic. Even more, when team members behave in the opposite task and/or relationship role from their typical role, it shifts the dynamics of the team even more remarkably. When I mapped out the typical and opposite task and relationship roles for each Enneagram style, I just went “Wow!” The opposite task and relationship role for each style is either their wing or their arrow style. That’s when I also became a real true believer in the development aspects, expansionary aspects of the use of the arrows and wings. It was amazing to me. I do a provocative activity with senior managers using the concept I just described. I have them talk about a topic, a decision or a strategic area about which they are making no progress, and they talk for about 10 minutes. They become bored; they’re frustrated and I am, too. The discussion has gone nowhere, once again. Then I have them look at the task and relationship roles they normally play and see if these are accurate, and they almost always are. After that, I make the case that to expand and change the team dynamics, they need to change their interactions and the best way to do this is to do the opposite of what they do normally. After they read the description of the opposite role-based behavior for their style, they continue the earlier discussion, but this time in their opposite roles. And they have huge breakthroughs and tons of fun. They realize it’s actually pretty easy for them to do the opposite behavior; it’s just that they had gotten in a rut. It a fantastic way of having breakthrough conversations with senior leadership teams. JL: How do you determine what the opposite behavior would be? GLB: I’ll give you an example. What I started with was the classical task and relationship roles that are in the literature on team behavior, and then I updated them because they were kind of from the 60’s and 70’s. So for example, the common task role on a team for a One is structuring tasks and giving opinions; and for Twos it’s soliciting information; for Threes, it’s defining goals and tracking tasks;, and for Fours, it’s managing the agenda – “Do we have enough time; is everybody OK; are we dealing with the most important things?”; for Fives, it’s managing resources – — for example, “Do we have enough money for this?”; for Sixes, it’s evaluating information; for Sevens; it’s generating and evaluating ideas; for Eights, it’s defining the larger purpose; and for Nines, it’s giving information. JL: Whom do they give information to? GLB: Nines give information to the group, usually at the end. They’ll give it eventually, often what hasn’t yet been said, but they do so without stating that this is their opinion. Nines state it as information. GLB: And then on the relationship side, which is a process role, for Ones it’s suggesting norms such as “We really should do it this way;” for Twos, it’s encouraging participation; for Threes, it’s facilitating to move the process ahead; for Fours, it’s expressing feelings; Fives play the role of providing perspective; Sixes play the devil’s advocate; for Sevens, it’s removing tension through humor or story-telling; for Eights, the relationship role is challenging; and for Nines, it’s harmonizing team interactions and facilitating the positive resolution of conflict. Then, for Ones to grow, I asked myself, “What would be the opposite task role and what would be the opposite relationship role?” Then I mapped out all the opposite relationship roles for each style, and again, it turned out that they always were, without my making them, either a wing or their arrow. So, for example, the opposite role for the Ones, instead of structuring tasks and giving opinions would be soliciting information from others. It makes me laugh to think about it, imaging all these Ones asking for the opinions of others rather than giving their own! JL: Was it either arrow? GLB: Yes, the pattern is that the opposite role is either an arrow or a wing, but it could be either wing or either arrow. Here’s a matrix that shows this information. For the Ones, the opposite task role is the common task role for the Two. For the Two, the opposite task role is their One wing, giving opinions. The Three the opposite task role is managing the agenda, which is the common task role for the Four. For the Four, the opposite of managing the agenda is defining the goals and tracking the tasks, which is the common role for the Three. So here we have the wings in operation. But for the Five, the common task role is managing the resources, but the opposite would be to define the larger purpose which is what the Eight does normally; but for the Eight, who is normally defining the larger purpose, the opposite task role would be generating and elaborating ideas which is their Seven wing. The team roles definitions are something I updated from the behavioral science literature. And I did not try to make the Enneagram styles fit into a particular pattern. It just was this way. JL: Obviously the wings and arrows must matter. To say otherwise is like refuting the entire system. We can’t pick and choose which parts of the theory we are willing to accept because the structure of the entire system it’s why it works. GLB: Yes, but they matter more than I thought they did before I understood team roles. JL: That’s a good insight and it feels instinctively right. The Enneagram must be organized in a perfectly intelligent way to work — just like the Chinese 5 elements theory with its direct interdependence of each element with the others, take out one and the entire structure collapses. Or, what would it do to our understanding of higher physics if we take out the law of gravity? This reminds me of a further refinement of how type manifests. Assume that personal development is not likely to be equal in all spheres of life. I believe the Aricans use a similar concept, five aspects of an individual: health, intellect, emotionality, and spirituality.... You get the idea; the point being that each area develops independently of the others. You can be extremely sharp intellectually and at the same time physically limited, an extreme example would be Stephen Hawking. I assume that your system of opposite roles will work perfectly especially within the same sphere, as in task or with relationships. I imagine it’s not easy to know which spheres are well developed in an individual and how that will affect the performance of the team. Would you say that a good team is something of a little microcosm and is best served by having all types represented, albeit not in equal proportions? JL: Oh I see, they would substitute what is missing and would try to highlight it so that it doesn’t disappear entirely. GLB: Yes, people can do it; they just don’t pay enough attention to it or it’s the second or third thing they think about. So it’s about encouraging people who are there to draw more on that in themselves to bring it out. JL: Oh, I see. OK. Changing gears a little bit, what do you believe is the essence of type and where does it come from? GLB: What is it or where does it come from? JL: Either, or, I guess if we know where it comes from then we’d also know what it is. GLB: This is a big philosophical question. JL: Do you have a one-paragraph answer? GLB: I’ll tell you what I say when people ask that in companies, which I really do believe but I probably don’t say it as strongly as I believe it. You can make a case that it’s spiritual; it’s not provable, but you may well believe that. You can make a case that it’s biological and there is some proof for that, but it’s not absolute. For example, in twin studies for example, not all identical fraternal twins come out to be the same type, but they are often wings or arrows of each other. What about the early family environment? That certainly could have some influence on you; maybe you are kind of in between two types and your family makes a difference. I do see some people that appear to be really close between 5 & 6 or really close between 6 & 3, like almost hovering on the line that connects them. Sometimes I wonder if the types are not quite as distinct as we think they are. But all that said, I do think it’s probably spiritual, or at least to say we come in a certain type, or at least a predisposition to one or two types and then it becomes clearer as we get older, and I don’t mean 40 or 50. Most of the time, I think that it’s like my experience with my son. He and I knew the Enneagram as he was growing up, and I knew all his friends. It became pretty easy for both of us to identify his type as well as the types of his friends with quite a bit of clarity by the time they were 5 or 6. He used to analyze the basketball players on his team, and this helped him as an athlete. He would say, “Mom, with mostly Eights and Fives on the team plus a One and a Six, no wonder there are fights. The Eights fight for the ball; the Fives just watch this happening; the Six is too scared to do anything; and the One and I [as a Three] try to keep it going and get the job done.” I think it’s pretty easy language to use when people learn it early; they become very facile. JL: So you don’t see type as mainly a defense mechanism, a stance we take on to face life? GLB: Oh, it has those aspects too; I can’t imagine being born into this world as a human without a personality. Can you? JL: You’d have to be a vaporous ghost. I think she might have been a Nine, and a very introverted Nine. Since everybody has a personality, we’re obviously supposed to. I think that’s part of our journey, the uncovering and rediscovering things that are behind that personality, as we know it. I do think that if you eventually dig down deep, we’re probably exactly the same at that level, but I don’t know if we ever see that in our lifetime. When I see people who have done a lot of work on themselves and seem pretty evolved, the higher aspects of their type are still showing. So maybe we never get rid of it, and maybe that’s not something that’s even desirable. JL: Yes, I think this notion of getting rid of type came from confusing type with fixatedness, as if we can’t have personalities that are not fixated. GLB: So to me that means you can never get rid of it; you just try to work up the food chain of your type. Like the Dalai Lama, for example, who’s clearly a pretty evolved human being. I think most people would agree. Most people would say he’s likely a Nine. You can see that pure bliss and the joy and the harmonic quality in him. He does get angry, but he also understands forgiveness and doesn’t live in that place of anger. He is sort of childlike, but he has a personality for sure and you can see what it is. So I can’t see the Enneagram as negative. I just think we are given something; we are born of two parents; even if it’s done with donor sperm, we’re still born of two people and I don’t think it’s possible to not have a personality. The question is what do you do with what you have and what is your personal evolution. JL: Speaking of evolution, do you have a specific spiritual orientation? GLB: Yes I do. I have always felt since I was little that I was a spiritual person, but I have never been into a particular religion. Ever since I was little I couldn’t figure out why, if religions are supposed to bring us together into a bigger whole, they separate us. Why do these religions seem to separate people into “We’re the right religion and you’re not,” or “Our religion is better than your religion so we’re going to heaven and you are not?” It never made sense to me, so I couldn’t really find what I was looking for spiritually in a particular organized religion. I do know some religions are not like that, but so many are. JL: I suppose if it’s true that no two grains of sand or two snowflakes are exactly identical, we can’t expect complex religious doctrines to be very similar — and as long as we have differences, we’ll indulge in comparative contests. JL: How old was he then? JL: Ah, so he must have remembered... I guess some children recall stuff like: “having always already been there” or knowing that, “there never will be a time when I am not.” I used to have a sense of that around that age before it was drowned out by life. I vaguely remember explaining the nature of time and space to my father — it seemed so clear at the time, but now I can barely recall the feeling. GLB: Some children, particularly in this generation of my son, are referred to as an “indigo child,” which is a child with a special gift. He could tell the exact temperature at any time of day or night in different cities all over the world when he was five years-old, and of course he hadn’t been to them. It was unbelievable. JL: That’s an odd one. JL: We covered a lot of subjects in this conversation; I’m curious how you would describe your philosophy. GLB: I believe in non-duality. So when people talk about the psychological versus the spiritual, they are separating something that’s whole. When people talk about spirituality or consciousness and then there’s business, or how do you bring the Enneagram into business and consciousness; I go, it’s already there. The personal and the professional, I don’t live in that duality either. There’s me as a professional person and then we talk about my son, though for me, they’re all together. I talk about those things. I talk to him about business and I talk in business about my son. I just don’t separate things and I think if we separate, we lose the bigger whole. JL: I could see no reason to separate the aware me from the absorbed in action me. The way I remember it from my childhood, I sensed there was an answer that would magically respond to all questions and the blinds would fall off my eyes and all of life would suddenly make perfect sense. Maybe that’s a head type vision. GLB: I would almost use the exact words and I’m not a head type. Has that not happened to you at other times in your life? JL: Actually yes, and I treasure those moments and they gave me reassurance that there is a reliable and permanent truth and purpose beyond the mundane existence. During hard times it’s this thought that can pulls me out of the muck and gives sustenance to carry on. GLB: We’ve covered a lot of territory in this interview. So I will take the opportunity to thank you for your energy and conversation, but even more so for the contributions you make to the Enneagram community. You’ve been at it a very long time. And I’d like to add that the Enneagram is quite precious; my hope is that we all serve it well. 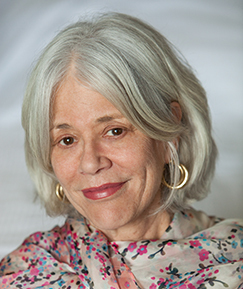 Ginger Lapid-Bogda, Ph.D., is considered a worldwide leader in bringing the Enneagram to organizations. A business consultant, coach, and trainer for more than 35 years, Ginger is the best-selling author of three Enneagram-business books: Bringing Out the Best in Yourself at Work; What Type of Leader are You? ; and Bringing Out the Best in Everyone You Coach, all of which have been translated into multiple languages. In addition to her organizational work, she has certified over 500 Enneagram-business professionals in the past five years.